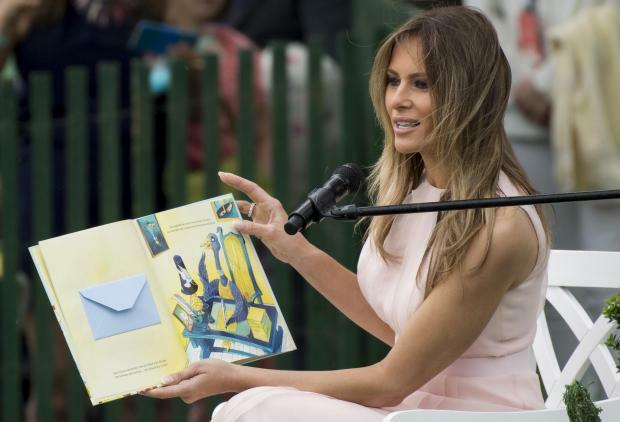 An elementary school librarian in Massachusetts has said she will reject a collection of books from First Lady Melania Trump. Earlier this month, Ms Trump sent out collections of 10 Dr Seuss books to one school in each state to celebrate “National Read a Book Day”. But in a blogpost Cambridgeport Elementary School librarian Liz Phipps Soeiro said her school did not need the books, which included famous titles such as The Cat in the Hat. Instead, Ms Soeiro wrote, the White House should focus more on providing support to schools that are underfunded. “Why not go out of your way to gift books to underfunded and underprivileged communities that continue to be marginalized and maligned by policies put in place by Secretary of Education Betsy DeVos?” she said. Cambridge, where Ms Soeiro’s school is located, sits just outside of Boston and is home to two prestigious and world-renowned universities, the Massachusetts Institute of Technology and Harvard University.